A Note from Chris Adams: I am grateful to Judy Patrick, a pastor’s wife, who gives some great tips for ministry wives who desire to encourage their husbands as they serve. It can be both exhausting and a joy to partner with your spouse in ministry. Your pastor-husband looks to you for support and encouragement. You are his number one go-to person. When there’s conflict in the church he vents to you. When he feels that God is leading him to minister to another church he uses you as a sounding-board for decision making. When he has been attacked by church members he depends on you to bind his wounds. There are periods when it seems that your pastor-husband talks for days on end (sometimes months on end) about his discouragement and turmoil. His obsessive talking is indicative of his frustration, depression, entrapment, floundering, and indecisiveness. You begin to think there is no resolve for his inner conflict. You’ve said all you know to say to encourage him, yet it doesn’t seem to help. All of this weighs on you as his wife. You begin to feel hopeless, helpless, and exhausted from encouraging and supporting your husband. What do you do? When is enough, enough? Where do you turn? How can you support your husband when you, yourself, need support? As a pastor’s wife of thirty-seven years, I have a suggestion: Develop your own support system. Here is a support system that I believe will encourage you during those times when your husband needs support, but you are weary and need support as well. 1. Pray. Yes, it is a no-brainer, but do you truly seek our heavenly Father’s guidance through prayer or do you complain to our Father (if you even mention it at all to Him)? Do you trust God to bring resolve? Do you wait on God to answer your prayer without wavering? Do you pray, but at the same time try to take control and fix the problem yourself (only to become more frustrated and disillusioned with God)? Paul writes: Do not be anxious about anything, but in everything, by prayer and petition, with thanksgiving, present your requests to God. And the peace of God, which transcends all understanding, will guard your heats and your minds in Christ Jesus (Philippians 4:6-7, NIV). Be joyful always: pray continually: give thanks in all circumstances, for this is God’s will for you in Christ Jesus (1 Thessalonians 5:16-18 NIV). You can go to God in prayer, asking and believing that He hears and answers. You can thank God for what He is doing as He’s growing you more into His likeness. You can thank God that in His time He will bring resolve. Try pouring your heart out to God: pleading, trusting, resting, and praising God for what you and your husband are going through. 2. Read God’s Word. This may be another no-brainer, but do you rely on God’s Word to carry you through difficult circumstances? When you read the Bible are you just reading words, or do you take to heart what you read? Do you read the Bible out of duty, or do you read the Bible expecting God to speak to you through His Word. Do you have favorite Scripture passages that come to mind when you need a Word from the Lord? 1 Thessalonians 5:24, and Isaiah 40:28-31. 3. Communicate with your husband, and tell him how you feel. They say that honesty is the best policy. Sometimes, being honest with your husband is difficult—especially when you are afraid that your words may be more destructive than helpful. He is sensitive and vulnerable when he is going through difficult times. As his wife, you want to offer words of encouragement. Yet, because of his emotional state, he may perceive your words as negative criticism. There are times when a husband simply wears his wife out with his obsessive talking about an issue without finding resolve. As his wife, you don’t know anything else to say (nothing new under the sun). Once, I got so frustrated with my husband talking without seeming to want to find resolve. I finally told him, “Honey, you need to find a colleague friend to talk to. I don’t know anything else to say.” Apparently, that was good advice. He sought friendship with another pastor in the city where we lived. Years later they still talk with one another on a regular basis even though we live eight hours away. Communication is difficult sometimes. Finding the right words to say is not easy. Risks are always involved especially when someone is in a vulnerable state of mind. However, holding your tongue puts you at risk for building resentment toward your husband, the church, and perhaps even God. Seeking professional counseling to help a couple communicate more effectively is not a bad idea. It’s amazing how a (professional) third party can see things that we cannot see. 4. Lean on a friend. Lean on Me was a hit song written and sung by Bill Withers in the early 1970s. “We all need somebody to lean on.” Do you have someone to lean on? I have talked with many ministers’ wives. I am finding that the number one pain in a minister’s wife’s life is the pain of not having at least one close friend to confide in. Several reasons account for ministers’ wives not having close friends. These include fear of vulnerability, protecting ministerial privacy, and lack of trust. Most likely, these reasons exist because of previous experiences. However, with God’s help, ministers’ wives can overcome such obstacles to experience the blessings of friendship. Pray that God will send a godly woman into your life to befriend you. Observe women around you. Do you notice women that truly seek God and live God-honoring lives? Women who are in favor with God are women who are in favor with people. Such women can be trusted. They are understanding, and sensitive to others’ needs. Don’t try to make a friendship happen—simply let it happen. One day you will realize that God has gifted you with a friend you can lean on. Your husband needs your encouragement and support. You are part of his support system. Don’t discourage him from talking to you. Just know that you have your own support system as well. Judy Patrick has been a pastor’s wife for thirty-seven years. She earned her Doctor of Educational Ministry degree from New Orleans Baptist Theological Seminary specializing in Women’s Ministry and Counseling. 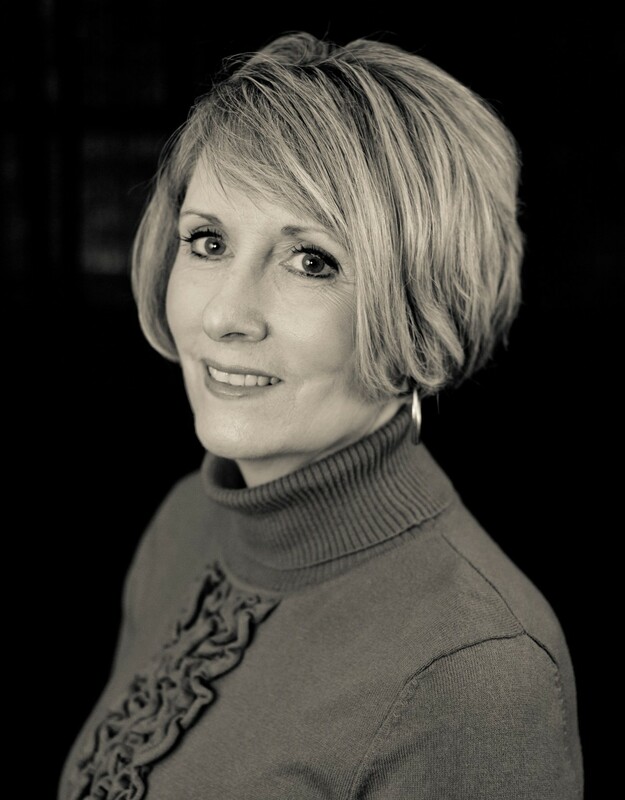 Judy has been involved in Women’s Ministry over thirty years, serving in local church, Southern Baptist associations and with Alabama and Louisiana state Woman’s Missionary Union/Women’s Ministry as a consultant and speaker. She is the Women’s Ministry Director for the Beauregard Baptist Association in DeRidder, LA. Judy and her husband Tim have two grown sons and four grandchildren.